Upgrade your mobile, computer or laptop with Let It Roll design! Upgrade your mobile, computer or laptop with the Let It Roll design. 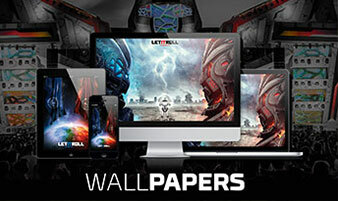 We've prepared a whole new set of wallpapers with the unique Let It Roll 2018 and Let It Roll Winter 2018 designs!